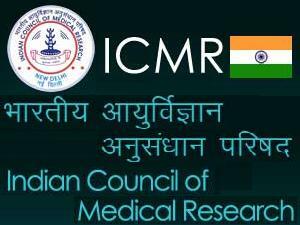 New Delhi: The Indian Council of Medical Research (ICMR) on Friday initiated efforts to set up a satellite centre of the National Institute of Immunohaemotology in Maharashtra’s Chandrapur district, where genetic blood disorders are on the rise. The purpose of the centre would be to carry out research on haemoglobinopathies, which are a kind of genetic defect that results in abnormal structure of one of the globin chains of the haemoglobin molecule. Common haemoglobinopathies include sickle-cell anaemia, which is an inherited blood disorder. According to ICMR, tribals constitute nearly 20 percent of the total population of Chandrapur district in Maharashtra. A large proportion of this tribal population is suffering from sickle-cell anaemia (10 percent) and thalassaemia. An ICMR team of experts surveyed the region and recommended that need-based research studies should be undertaken in this region for early detection, management and control of these disorders. “The proposed centre will carry out advanced research based on the needs of the region. It will also provide training and education for human resource development in the area,” said V.K. Srivastava, head of the ICMR division of publication and information. “ICMR acquired a portion of district tuberculosis hospital in Chandrapur to start its research activities. This portion of the hospital is being developed as an interim centre of the proposed satellite centre. A budget of Rs.4.59 crore has been sanctioned for an initial period of five years,” he added.